Gift-giving, hot chocolate, mistletoe, and so much more! The holidays are officially here and most likely, your place of work is celebrating with a holiday office party. To help ensure you are dressed for the occasion, we’re sharing a few of our favorite holiday outfit ideas and everything you’ll need to complete the look! Embrace the holiday season with this cozy look. 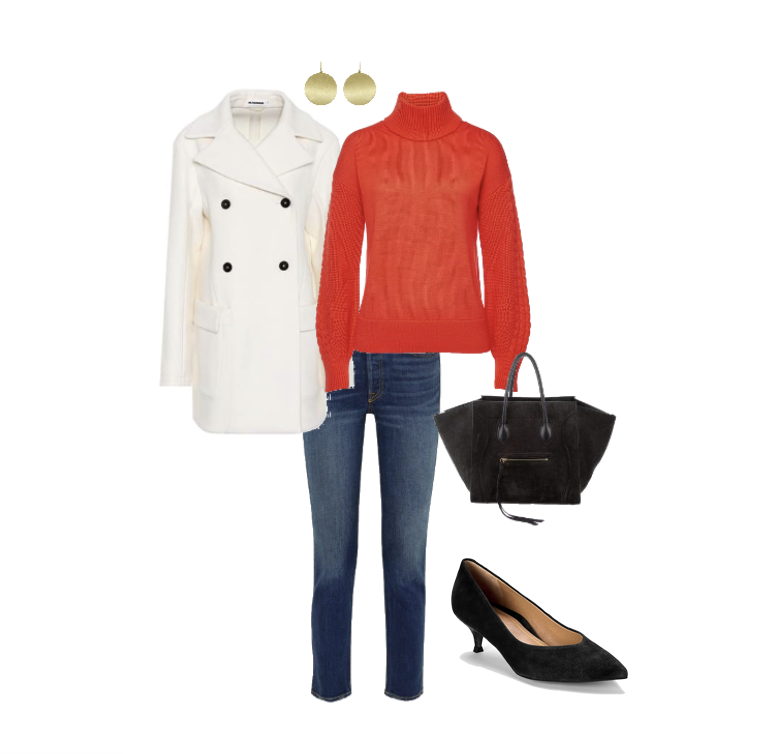 What You’ll Need: For this look, you’ll need a pair of dark denim jeans, a red turtleneck sweater, some gold earrings, a white trench coat, a black purse, and a comfortable pair of heels, similar to our our Josie Kitten Heel. Unleash your holiday spirit with this sleek yet bold style. What You’ll Need: To achieve this look, you will need a pair of wide-leg black pants, a red blouse, some gold earrings, a small black purse, red lipstick, and a pair of red heels, just like our Mia Block Heel in Cherry. Get cozy with this fashionable look. What You’ll Need: For this holiday outfit, you will want to have a pair of dark slacks, a cozy white sweater, a red purse, a red belt, some red earrings, and a black ankle boot, similar to our Trinity Ankle Boot. Stay stylish with this simple holiday outfit. 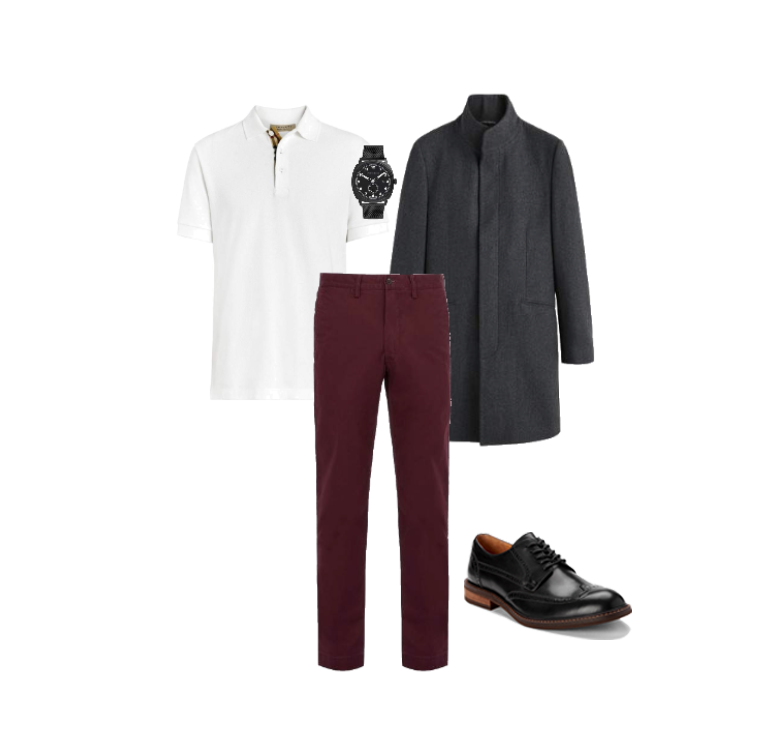 What You’ll Need: For this look, you will need a white polo shirt, a pair of burgundy slacks, a black watch, a charcoal trench coat, and a nice pair of dress shoes to keep your feet well-supported, similar to our Bruno Oxford. Get festive with this casual holiday look. What You’ll Need: For this look, you will want to have a white dress shirt, a red tie, a dark pair of slacks, a black jacket, a black watch, and a pair of classic dress shoes, similar to our Graham Derby.